Yesterday afternoon, I helped a cherry tree blossom early. 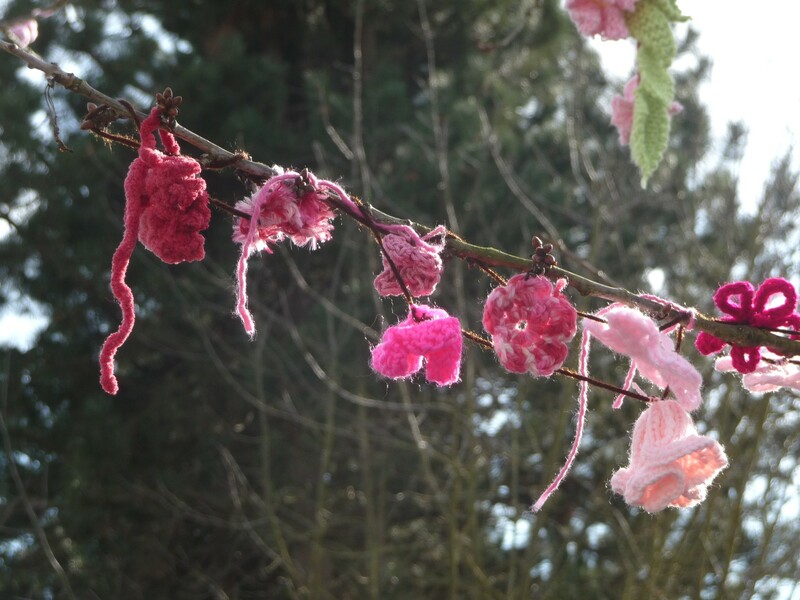 Knitters, crocheters, authors, book-lovers, and other supporters of Joy Kogawa House gathered to festoon the bare backyard cherry tree with hundreds of hand-knitted and crocheted blossoms. 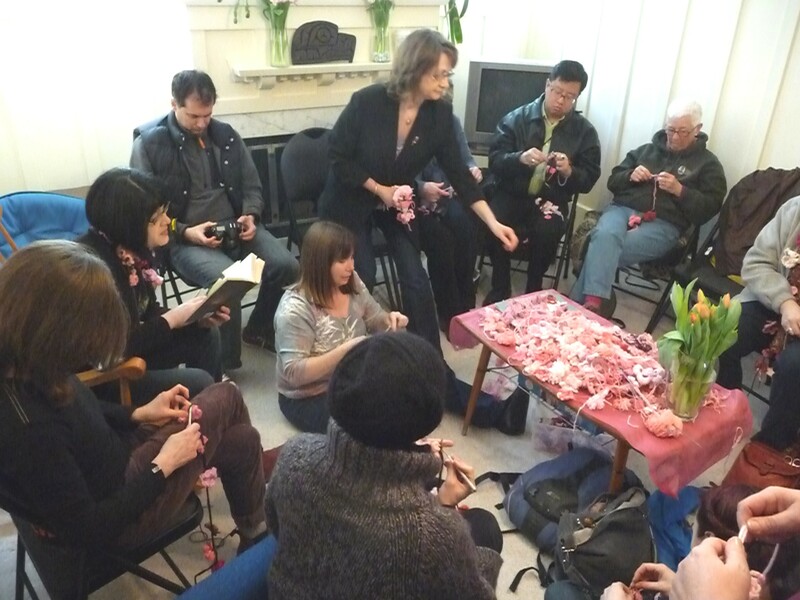 The Sunday afternoon event and several knit-ins leading up to it (including one held at Vancouver City Hall) was organized to help draw attention to the heritage site and the Joy Kogawa House writer-in-residence program. The house was the childhood home of Canadian author Joy Kogawa –until WW II, when the house was expropriated and the family forced to move, along with other Japanese-Canadians, to an internment camp in the BC interior. Thanks to the rallying of community members and a national fund-raising campaign (2003-2006), the house is now owned by The Land Conservancy of BC, a non-profit land trust, and a writer-in-residence program is operated on the site, helping to connect authors with the local community and encourage an appreciation for Canadian writing (see the Joy Kogawa House website for more info). 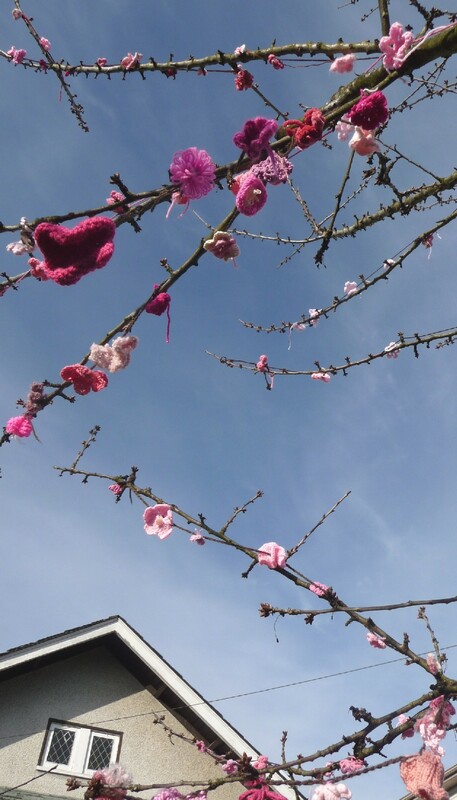 Blossoms were created at local knit-ins lead by knit graffiti artists Leanne Prain and Mandy Moore, and were also mailed in from other locations. 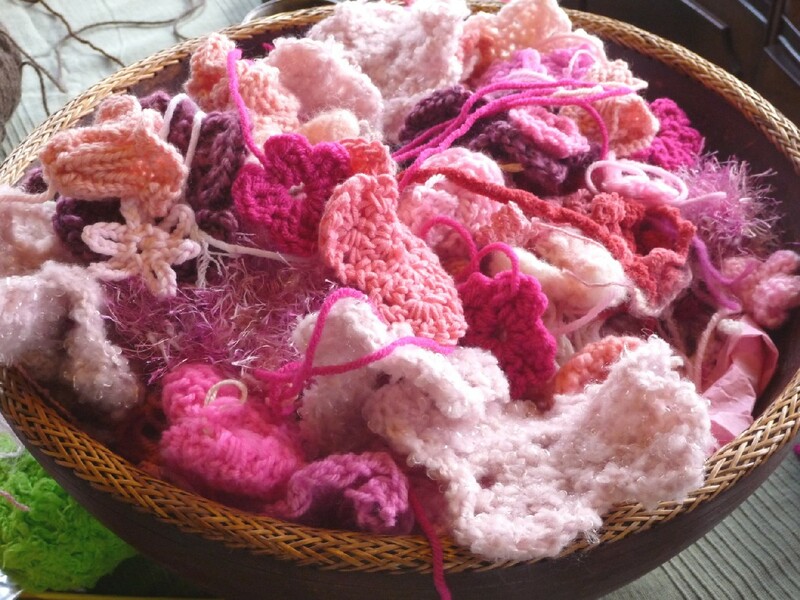 Participants at Sunday’s event crocheted chains, knitted “bark,” and attached the knitted and crocheted blossoms to the chains while authors read from their works. 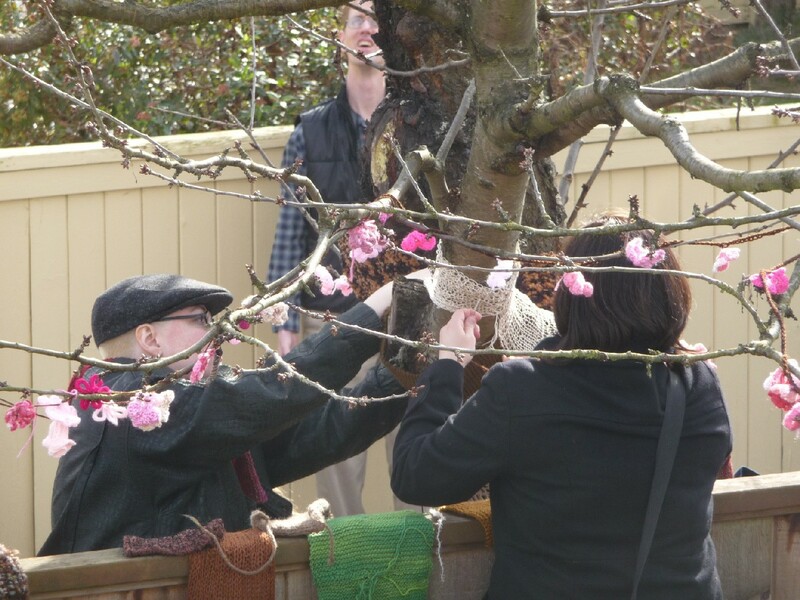 Outside, others sewed “bark” around the tree’s trunk and tied blossom chains to the tree. 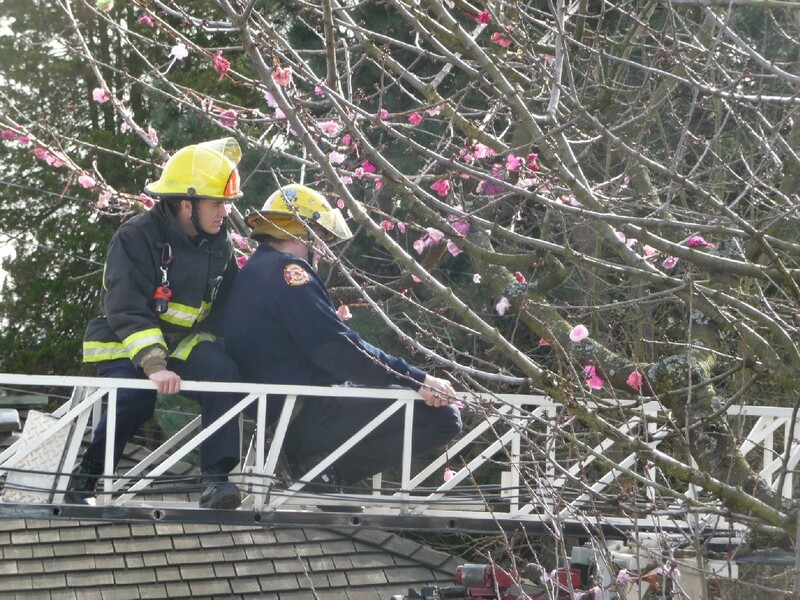 Vancouver Firefighters attached blossoms to the highest branches. 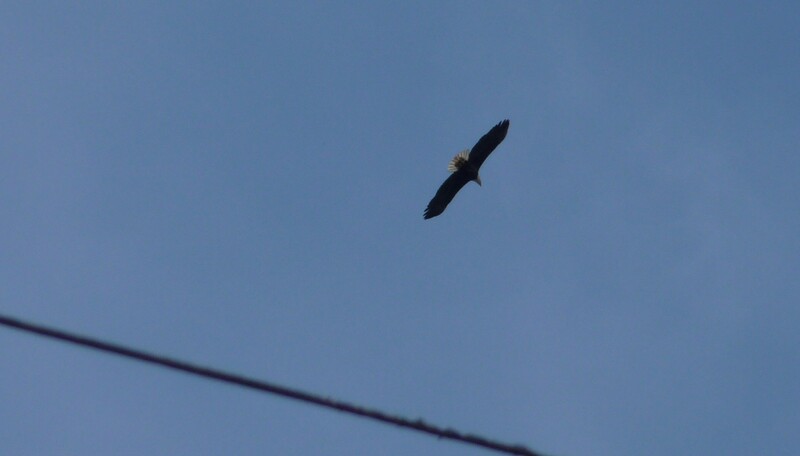 All in all, a beautiful day and a beautiful event. 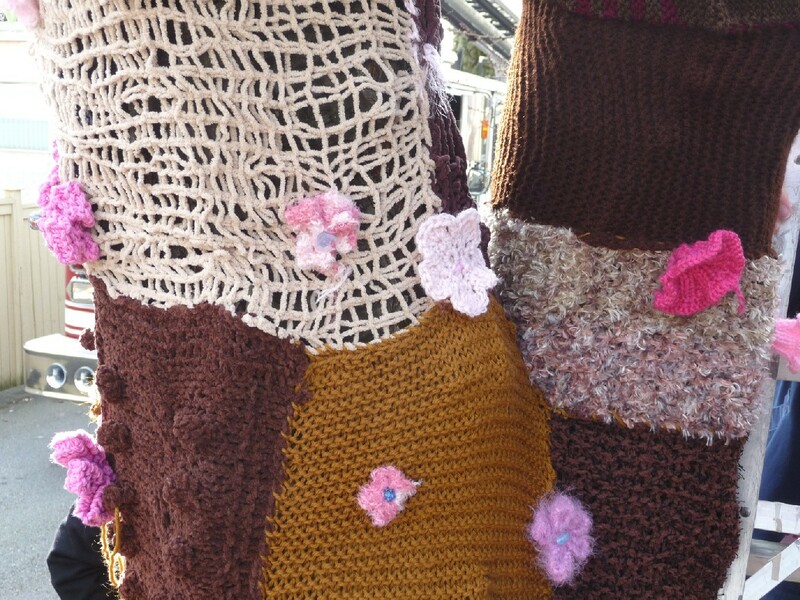 More photos of the event will be posted at Yarnbombing.com. 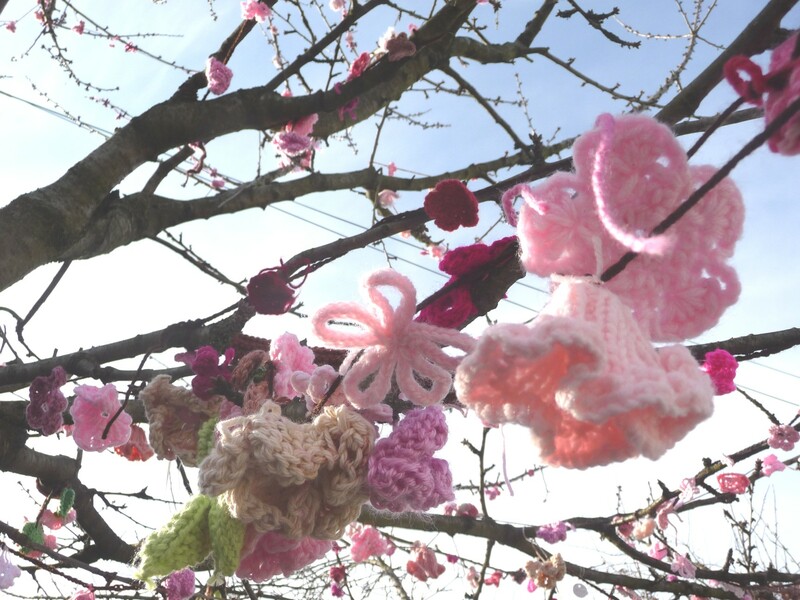 Blossoms will stay in place on the tree throughout the month of March, so if you’re in Vancouver, stop by 1450 West 64th Ave to have a look.